Rotating drum charge (batch) blender. Sizes 4,5 – 5,5 – 7 – 9 – 11,5 or 14 ton/m³ per charge. 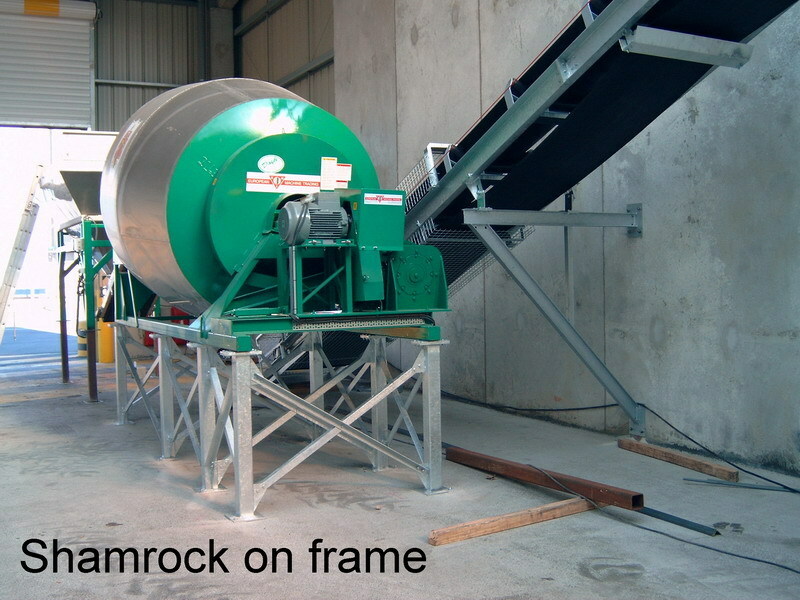 Capacity from 25 to 70 ton/m³ per hour. Blending and weighing are separated. Easy and gentle blending process. 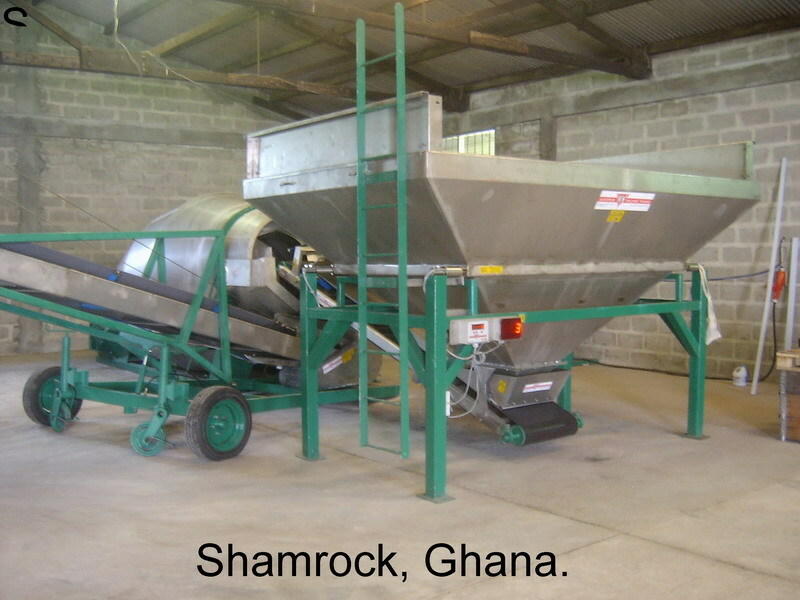 The stainless steel Shamrock drum blender is suitable for powder and granular fertilizers production. 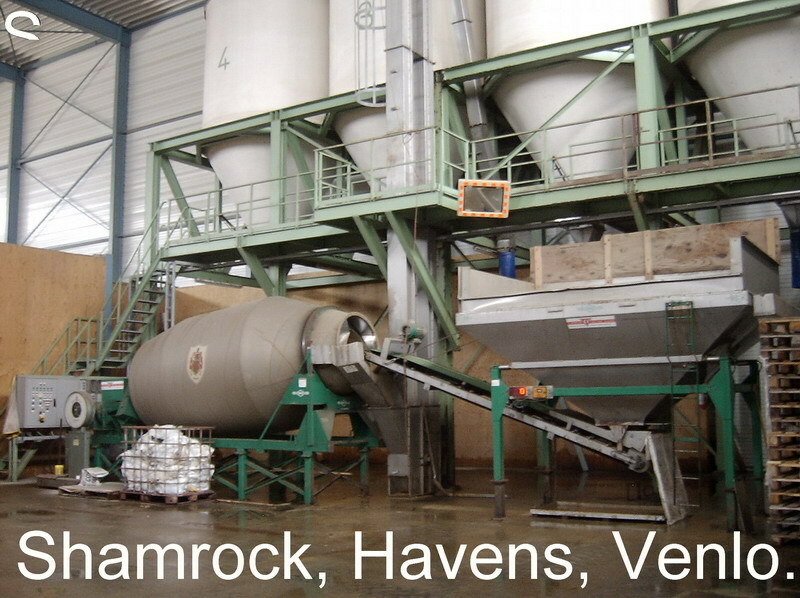 The machine processes all raw materials into an excellent blend. When the machine has produced a blend, it can be transported to a bag filling station. 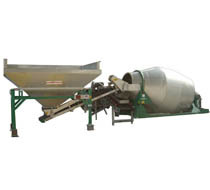 A transport conveyor can fill the blender drum. 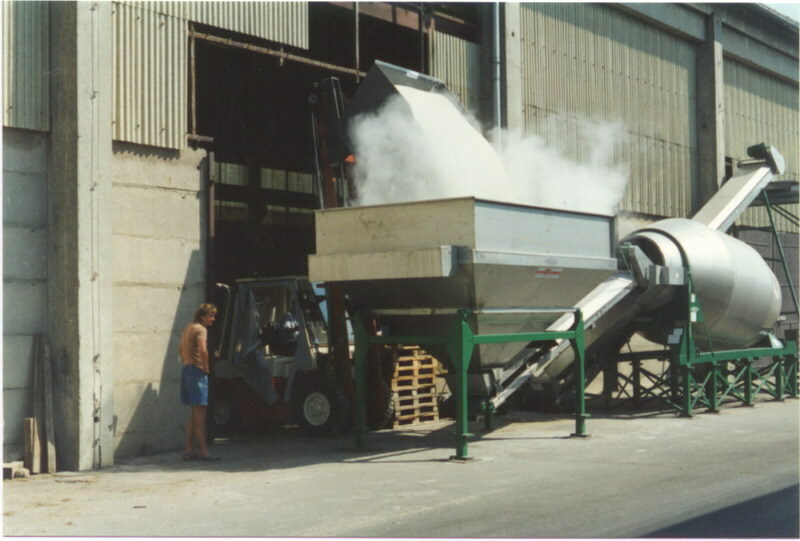 This conveyor is installed under a stainless steel weight hopper. This weight hopper is mounted on load cells. The weight of the raw materials in the hopper will be shown on a large display. 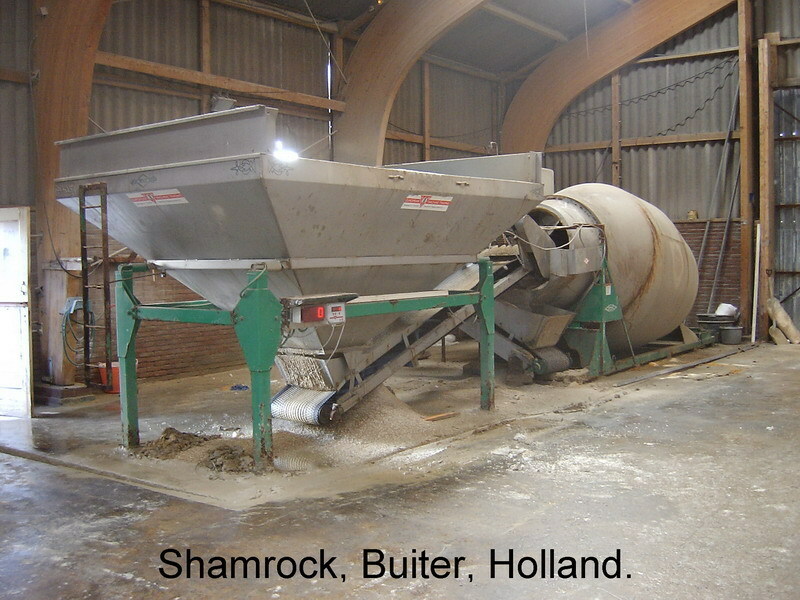 When the weight hopper is full, the conveyor transports the fertilizer to the blender drum. The blender will blend the different components. The drum will be filled at the front side. The machine starts turning into the clockwise direction. The blending process is simple: the turning drum has an internal flighting that blends the different raw materials in a folding action. When finished, the machine will stop and turn into the opposite direction. The internal flights will push the material out of the mouth of the mixing drum, where the product is discharged on the transport equipment. 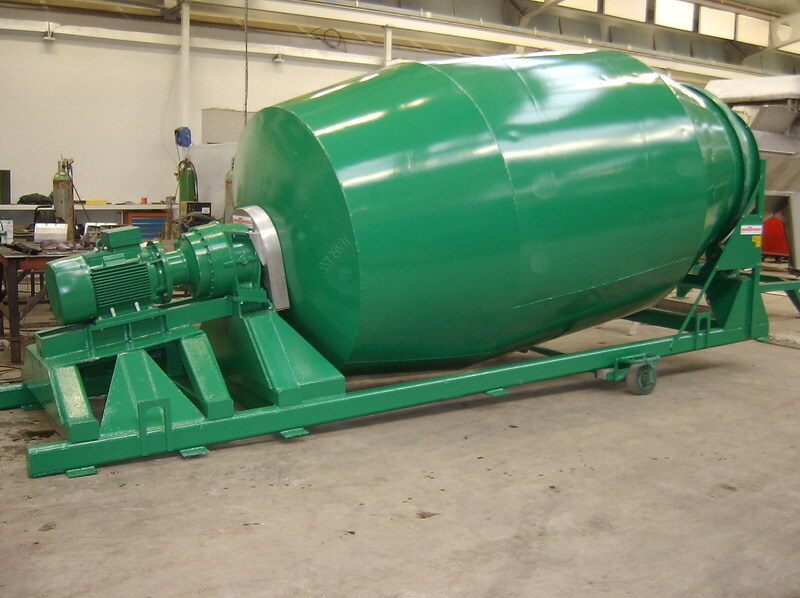 The drum blender is installed on a mild steel frame that is constructed from tubing steel. 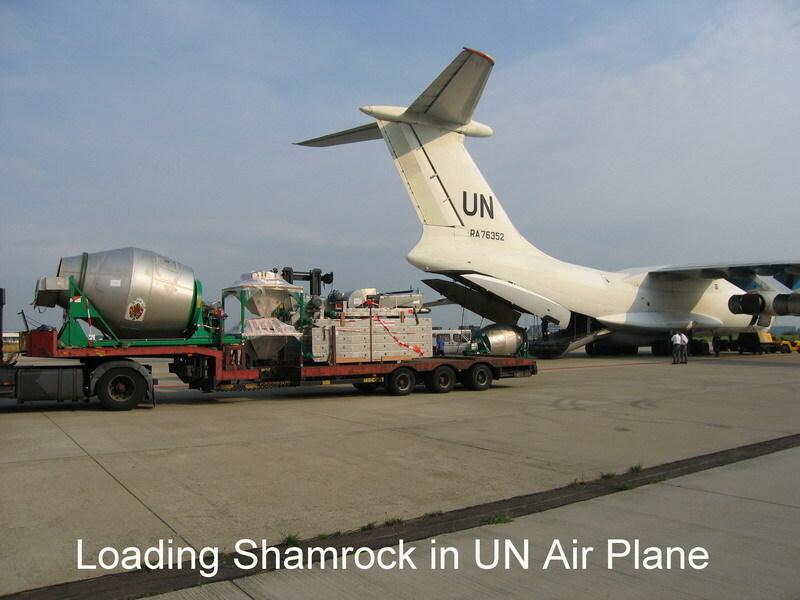 The Shamrock drum blender is driven by an electric motor that is installed on the support frame. Inside the weigh hopper a mild steel screen is placed to catch lumps. The hopper has got an open top for filling with a loader. 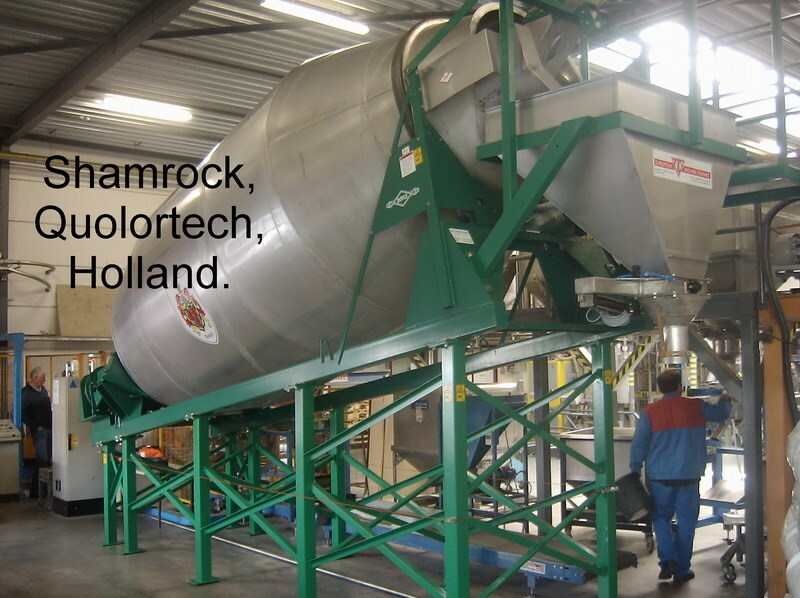 The blender sizes are 4,5- 5,5 – 7- 9 – 11,5 and 14 ton/m³ per batch with a capacity from 25 to 70 ton/m³ per hour.